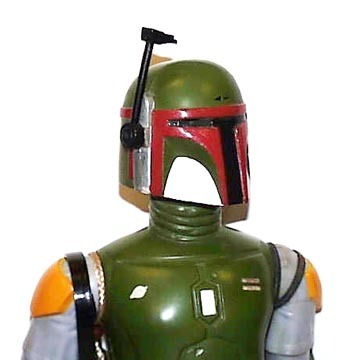 This is an early version of the 12" Boba Fett action figure. There are a number of paint and mold differences on the body and head when compared to a production sample. 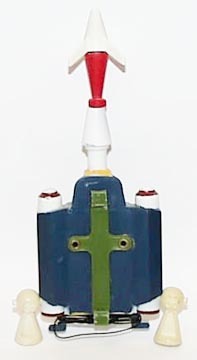 For instance, this early prototype does not have the plastic strip protruding from the side of the helmet as the production toy. All the accessories are prototypes and different than production. 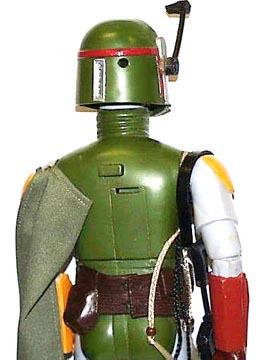 Especially the gun which has several major differences and the belt which is made out of rubber and its pouches and stitches are completely different. 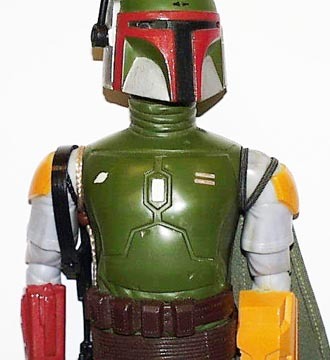 The back reveals a battery compartment as this original version of Boba Fett was electronic! (perhaps the concept was dropped due to cost?). 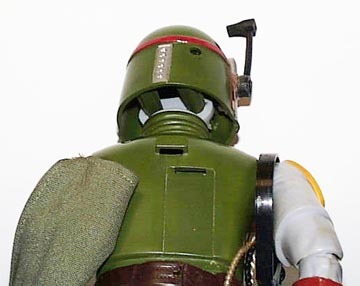 There are also subtle paint differences on the back of the helmet. The backpack is completely different from production. The stabilizers on this missile have a greater pitch. 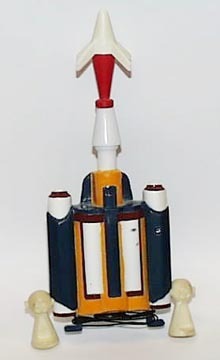 The red stem of the rocket is shorter (this one possibly failed a choke test and was extended--difficult to know for sure as little is known about this piece). There are also some paint differences on the backpack itself.